Directors Phil Lord and Christopher Miller have disembarked from the upcoming Han Solo Star Wars spin-off movie due for release May 2018. A new director will be announced soon. After Phil Lord and Christopher Miller took to the stage at Star Wars Celebration Europe, I was really looking forward to seeing them play in the Star Wars sandpit. The directors have a deft ability to take something overtly commercial and make it fun as exemplified in The LEGO Movie. Bizarrely, the Han Solo spin-off has been filming since January. So, perhaps there's a tonal issue between the directors and Lucasfilm? It's worth noting Richard Donner was famously fired from Superman II and that turned out OK. Joe Johnston (Captain America: The First Avenger) and Ron Howard (Apollo 13) are frontrunners to take the helm of the troubled Star Wars production. In related news. Colin Trevorrow's latest movie, The Book of Henry, has met with universal criticism and some fans are calling for the director to be replaced on Episode IX. Seemingly Star Wars is having growing pains at Disney. Josh Trank departed from an untitled spin-off and Gareth Edwards' Rogue One underwent extensive reshoots. The latter didn't turn out too shabby. 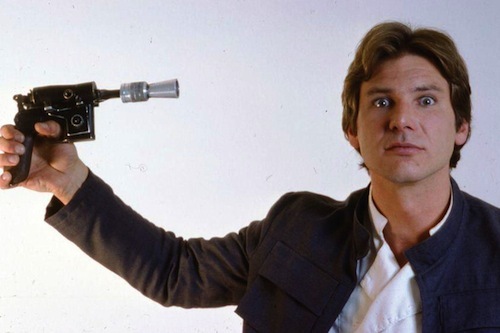 Who do you think should direct the Han Solo spin-off? Let me know in the comments below.